Make PEACE with being a fledgling bird. It’s just the way it goes. Besides! : Birds can fly! That’s gotta encourage. You’ll get your wings, and when you do, I’m sure you and your research will take off. But in the meanwhile, during the struggles and down times, don’t deny that you are a flower: You are a blossom, and you blossom at times. You can’t discount that because you are fledgling and will struggle. Make peace with your “both-and” fledgling-blossoming status, and this is how you maintain your residence in Paradise. I’m absolutely LOVING the Bird-in-Paradise flower! As I mentioned, I am making a stance, and I hope all fellow blossoming-fledgling researchers have this stance as well: I’m done counting myself out and beating myself up and apologizing to self and others for being a work in progress. If I am giving my best . . . if I am ever endeavoring to work smart and hard . . . then I have GOT to stop seeing the non-linearity of this journey as a catastrophic problem–especially not as a problem inherent to who I am as a student. No–challenges along the journey are attributable to MANY things (my skill set, whether I’m growing, my advisor’s skill set, etc. ), but not to my being. Part 2: The Good New Is that Though It’s Kind of Mysterious, It Does Indeed Get Better! At this stage, because I’ve done due diligence and READ my field’s literature, I now recognize language, I have vocabulary (authentically), and I now know where to mentally place what I’m reading. In other words: I’m no longer getting there, but I am knocking at the door. I simply need to speak (i.e. write) now. That’s a relief. I didn’t know if I’d ever find my way. Take-away: Reading and reflecting helps. It may take awhile to help, but reading + reflecting = pathway to writing progress. So now that I’ve discovered this, I guess my question is (and the reason for this blog is): What if I had believed this all along without questioning everything? What KNOWLEDGE, WISDOM, PERSPECTIVE, MINDSET, ATTITUDES, and ACTIVITIES would have been required for me to have just believed all along? What if I hadn’t doubted the process but just accepted and embraced the way this pathway works? It’s not like I wasn’t told or warned that this would really test my resolve. I just had a hard time walking in the dark when it got dark and there was just enough light for each step that I was on, or sometimes even less. To move OUT of that space, I had to know what to do when I wasn’t in the position to draft “keeper drafts.” I call this knowing the best “meanwhile activities” in which to engage. There are good “in-the-meanwhile activities”–activities that keep you inspired, faithful, hopeful, self-confident, positive, and actually on track. Then there are sabotaging “in-the-meanwhile activities”–activities that take you away from your researcher values: your researcher purpose, motivation, and healthful identity and mantras and mottos. Finally, and most insidiously, there are the good “in-the-meanwhile activities” that our perspective or attitudes render as sabotaging. This happens via a process I call “guiltifying.” It’s possible to guiltify TO BAD ENDS what should be counted as good (given the moment/situation). Insidious! I don’t recommend engaging in “in-the-meanwhile activities” over more immediately productive activity if you know more directly what steps to take. But I do recommend these types of activity over the cessation of activity–possibly stemming from an internal fear founded on thoughts such as: “Should I be struggling this much? What does that mean? I’ll just stop for a moment. Just a moment.” The imposter syndrome is so insidious: It’s a lie baked in semi-reasonable yet WRONG surmisings, and I wonder if someone has written a dissertation on THAT. Probably so! The point is: If I have learned any one lesson it’s this: Beyond the natural need to step back and reflect, don’t stop activity: Do something forward-moving (authentically productive) everyday until momentum and clarity come back around. Because they ALWAYS do given enough work and reflection. I will continue and wrap up my reflections in Part 3 of this “Reflecting on the Metaphor of the Bird-in-Paradise Flower” series.. Thank you for visiting! PLEASE post away. We would LOVE to gain your perspective on these important matters. So what say you? How do you keep going through a stall or through writers’ block? What activities constitute good “meanwhile activities” for you? What activities constitute bad “meanwhile activities” for you? Have you as has anyone else ever GUILTIFIED your good “meanwhile activity?” How did you respond/handle it? Well! Thank you so much for visiting and supporting what I hope will be an encouraging, collaborative endeavor if all of us chime in periodically to share our hard-won know-how and wisdom. Looking forward to your contributions, comments, alternative ideas, musings, links, encouragement, and camaraderie! Is there a trade-off between working digitally and working by hand (e.g. paper-to-pen)? If so, what is it, and where have you found your balance? This entry was posted in encouragement, initial posts, inspiration, perseverance and tagged encouragement, initial posts, inspiration, perseverance by Z. Sanders. Bookmark the permalink. Many people mistakenly believe that images presented in the results of a search engine are free to use however they please. Google actually advises that images may be copywritten. Even if your use of copywritten material results in no profit you may not use such materials without the written permission of the author. Please bear this in mind when adding images found through search engines. Hi, Candy. Thank you for the alert. I thought permissions were free for this image as far as anyone can tell: http://wallpaprezt.com/bird-of-paradise-flower-collection-photo-hd-wallpaper-background-picture-download/. Again, thank you for the alert. It was not my intent to imply that the image in this article was associated with a copyright. I am delighted to see that it is assumed to be public domain material. Often I see where there is copyright infringement and merely seek to educate those who believe that all content from a search engine is free to use in any manner they please. Perhaps in the future you might give credit for the image to the actual page/website where it was found to be rather than a search engine. 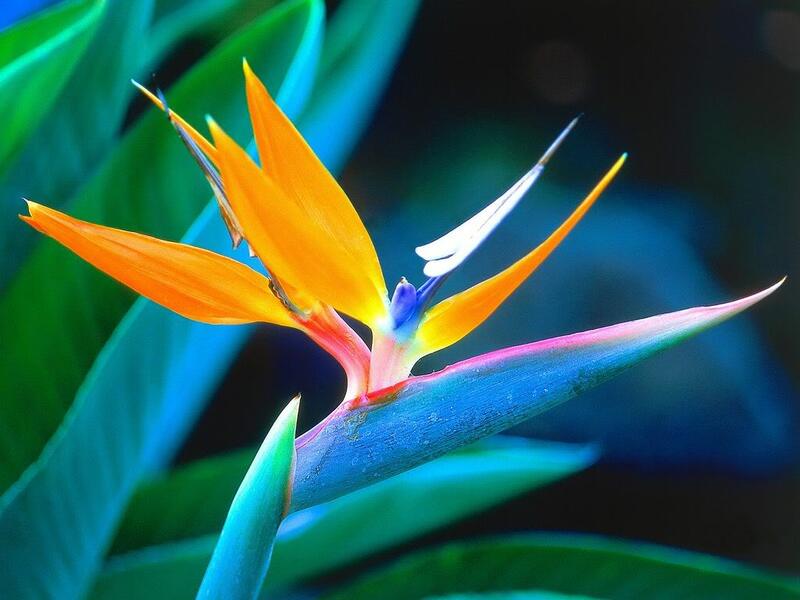 Bird in Paradise Flower: Courtesy of wallpaprezt.com. Lovely image, thank you for sharing. Thank you again, Candy. I updated it. Take care!